Rotary Park, Diamond Creek is another park Omnitech Playgrounds have recently given a face lift. 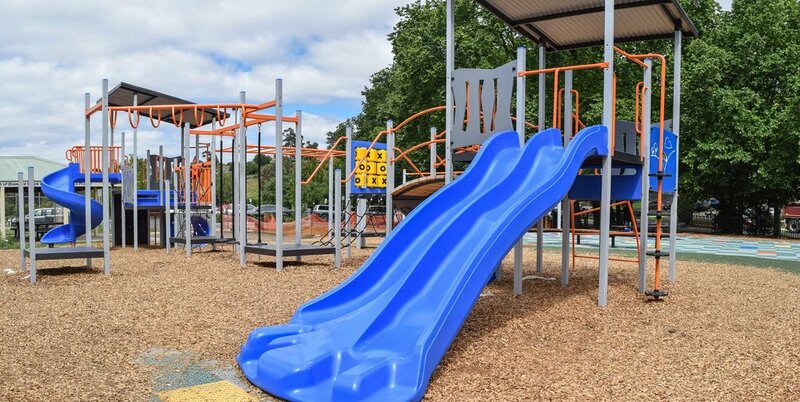 Rotary Park is a destination playground located near the community sporting precinct and close to the local shops. 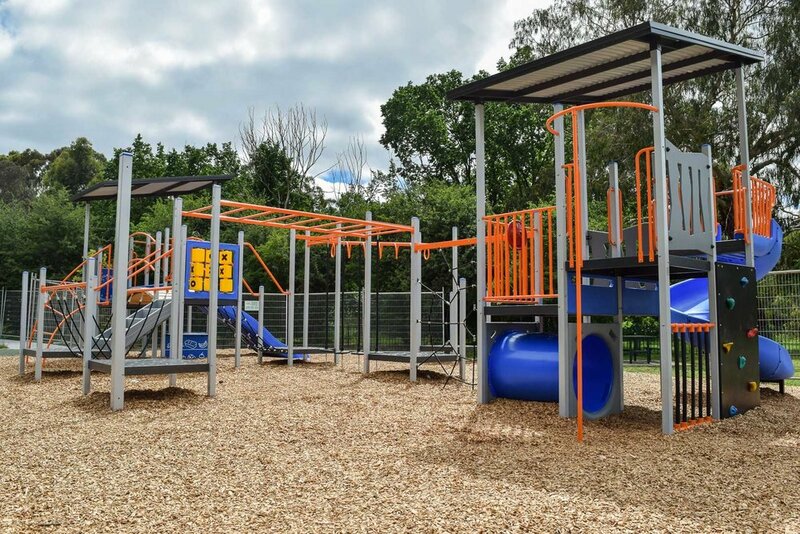 The newest equipment from Omnitech is highlighted in this play space; these include musical chimes, the Geo Climber and a new timber curved bench seat. The park also features swings, an orbit spinner, hammock and a custom ‘Extreme’ play unit. 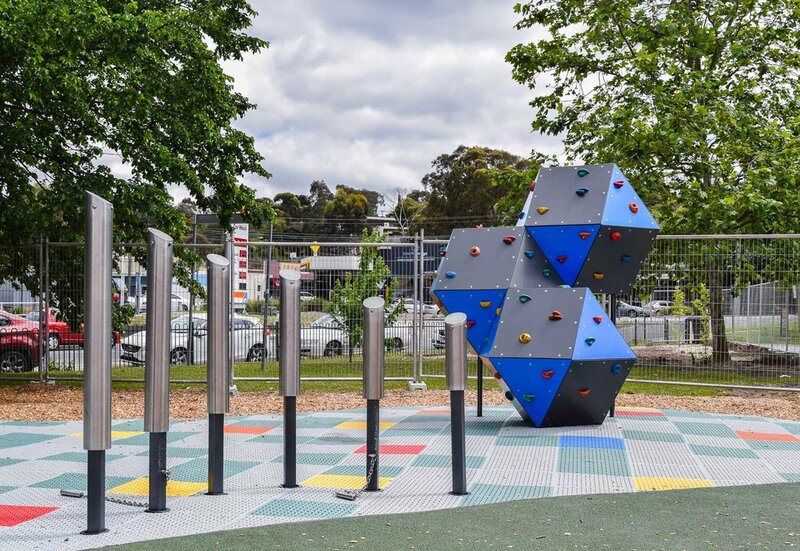 This park is set to suit all ages and abilities by challenging kids on the Geo Climber to allowing their imagination run wild with interactive panels and musical chimes. This playground has been keeping the local community very happy since its opening.